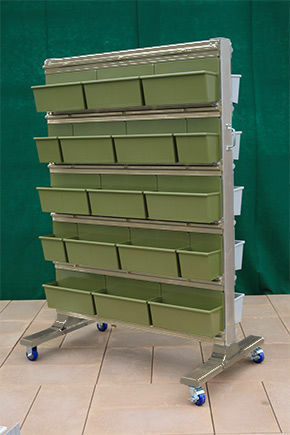 LiveScreen® units are green walls on wheels which arrive preassembled and ready to plant. LiveScreen uses the same innovative RainRail and TopSide technology as the LiveWall Indoor and Outdoor living wall systems, so they are simple to operate and maintain. There are five living screen models, both for outdoor and indoor applications. 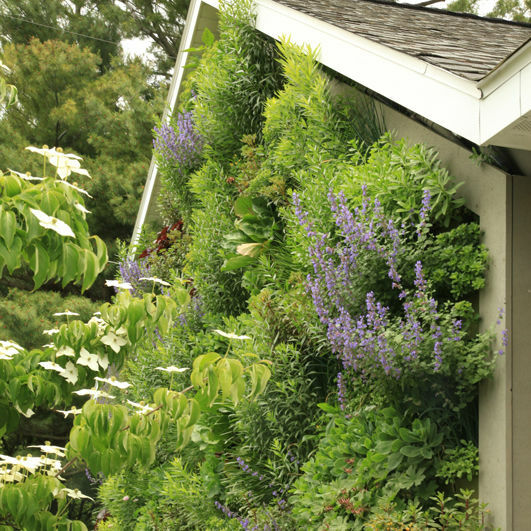 LiveScreen is a simple, mobile living wall system that you simply unwrap and plant.LiveScreen XL, Access and Patio models are designed for outdoor use, with integrated automatic watering. For creating attractive, organic dividers in offices, institutions and restaurants, the LiveScreen Indoor model is sold as a hand-watered living wall system with a rear drainage and catchment system for drip-free use. Where privacy, serenity, flexibility and low maintenance are paramount, LiveScreen is the ideal solution. In assisted living or rehabilitation settings, these mobile vertical gardens can be moved as needed to administer horticultural therapy. 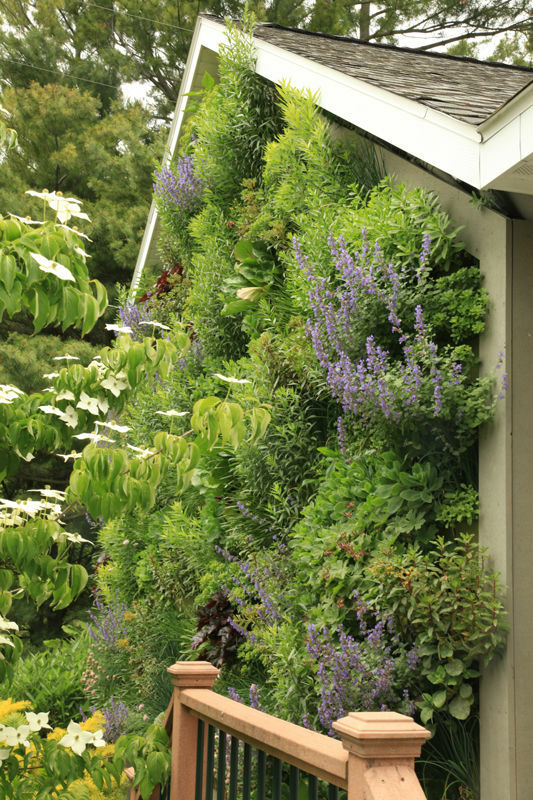 In restaurants, outdoor herb walls can be harvested in the morning and moved to add privacy and reduce noise in outdoor or indoor eating areas. The green wall plants improve indoor air quality and absorb sound; making them excellent living dividers between departments in offices, groups in classrooms or libraries, and sections in dining establishments.